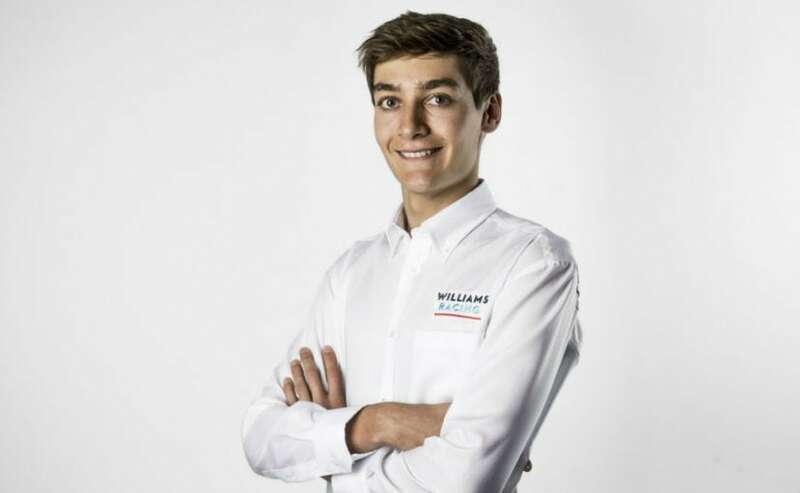 George Russell, a Mercedes protege who currently is in the title contention for the F2 championship has been announced as the new Williams driver for 2019. Formula 2 title contender George Russell has received the big promotion and will be joining the Formula 1 grid in 2019. The British racer has been signed by Williams for the 2019 season in a multi-year deal and is the first of the two new drivers to be announced by the team for next season. The second driver at Williams is yet to be announced by the team. Russell is a Mercedes protege part of the Silver Arrows' young driver programme and is currently leading the F2 championship, and is said to have been considered over Force India's Esteban Ocon for the seat at Williams. Speaking about his decision to join Williams, George Russell said, "It is a huge honour to join a team of Williams' prestige and heritage. Formula 1 has been a life-long dream. From watching the races when I was a child, it feels surreal that I will now be lining up on the grid, alongside drivers whom I have admired for years. I would like to thank Claire and everyone at Williams for their faith in making this decision, as well as Toto (Wolff) and the team at Mercedes for their fantastic support throughout GP3 and Formula 2. I am incredibly excited to start working with everyone at Grove and to take my first steps as a Formula 1 race driver. I cannot wait for Melbourne next year and to join Williams at the start of this exciting part of their journey." Russell will be the third Englishmen in F1 joining Lewis Hamilton and Lando Norris on the grid. The 20-year-old's longer agreement to stay at Williams may have been a potential decider for the team to choose the young driver over Ocon, who has had an impressive run at Force India over the past two years. The Briton leads the F2 title race by 37 points from Alexander Albon with only 48 available in next month's finale in Abu Dhabi. As part of the Mercedes young driver programme over the past two years, Russell was included in a series of test outing and also was part of two practice sessions for Force India last year. Deputy Team Principal Claire Williams said, "We have always tried to promote and develop young talent at Williams, and George fits that ethos perfectly. He is already highly regarded in the paddock and a driver whose career we have been watching for a while. In the time we have spent with him so far, we believe that he will be a great fit for our team; his commitment, passion and dedication is exactly what we need to drive the positive momentum building at Grove as we focus on the future." With George Russell confirmed, the second seat at Williams is yet to find an owner. It is believed that Sergey Sirotkin and reserve driver Robert Kubica are the front runners for the seat. Lance Stroll, who presntly drives for Williams is expected to switch to Force India next season joining Sergio Perez. This leaves the 2019 Formula 1 grid with four vacant seats at Sauber, Williams and both the seats at Force India. Williams has had a disappointing 2018 season and is likely to finish at the end of the constructors' standings. 2019 then is likely to see dramatic improvements for the team, especially with its new drivers onboard.